All the large Shakespeare organisations are celebrating the four-hundredth anniversary of Shakespeare’s death in 2016 with events to show that Shakespeare is universal, appealing to people of all ages and backgrounds. As befits the best-funded Shakespeare company in the UK the Royal Shakespeare Company have big plans for the year in which, Artistic Director Gregory Doran has said there will be “something for everyone”. In fact the RSC has already begun: Shakespeare on Screen, highlighting films of RSC staged productions, or films re-conceived for film or TV, has been running at the Barbican since 9 January. The season is curated by John Wyver who masterminds the RSC’s Live from Stratford-upon-Avon relays. Sunday’s showing of the 1990 Othello with Willard White, Ian McKellen, Imogen Stubbs and Zoe Wanamaker, directed by Trevor Nunn, was sold out. The season of showings continue until 31 January, and still to come is As You Like It, originally directed by Michael Elliot in 1961, with Vanessa Redgrave, Max Adrian and Ian Bannen. The production, coming in the same year as the Company was renamed under its new Artistic Director Peter Hall, was enormously important in establishing the new Company. The film is being shown on Tuesday 19 January, and will be introduced by Vanessa Redgrave herself, whose radiant Rosalind captivated theatregoers over 50 years ago. On Saturday 23 January at 3pm the 1971 film of Peter Brook’s King Lear will be shown. Based on the 1962 production in Stratford, filmed on location in a grim black and white landscape, it features a towering performance in the title role by Paul Scofield. 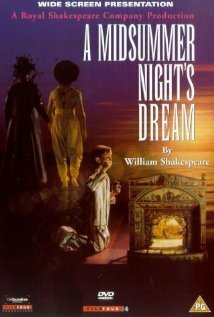 Adrian Noble’s 1994 production of A Midsummer Night’s Dream was reimagined for the screen in 1996, and retained much of the feel of the original stage production, seen as the dream of a young boy. It is being screened on Sunday 24 January at 3pm. Finally on Sunday 31 January at 2pm Gregory Doran’s film of his production of Hamlet is being shown complete with its original distinguished cast including David Tennant, Patrick Stewart, Penny Downie, Oliver Ford Davies and Mariah Gale. The season is designed to complement the RSC’s cycle of History Plays currently running at the Barbican under the title King and Country. The plays that make up the cycle are Richard II with David Tennant as the King, Henry IV parts 1 and 2, with Antony Sher as Falstaff and Henry V with Alex Hassell in the title role. The final performances of the cycle are over the weekend of 22-24 January and are, not surprisingly, sold out. 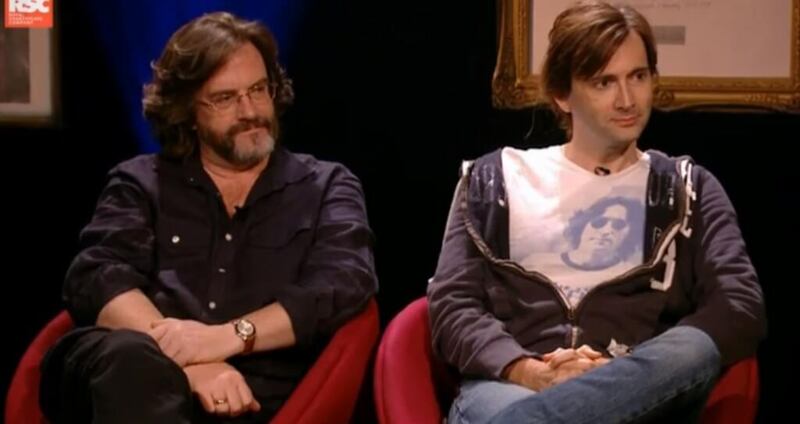 But back to the RSC’s 2016 announcements: Gregory Doran and David Tennant appeared on the Andrew Marr TV show on 10 January to talk about their plans. Further details of the summer season have been announced in a very full press release. The main Shakespeare season has an unconventional look, beginning with A Midsummer Night’s Dream, subtitled A Play for the Nation. This is being performed in collaboration with fourteen amateur companies, who will provide the mechanicals and schools who will supply Titania’s fairy train in what director Erica Whyman has called Shakespeare’s “love letter to amateur theatre”. Schools up and down the country are being encouraged to take part in a “nationwide celebration of the play”. There will be a “searing” new production of Hamlet with Paapa Essiedu, a Cymbeline with a female Cymbeline (Gillian Bevan) and many other male characters played by women. Later in the summer Antony Sher will play King Lear, supported by RSC veterans David Troughton as Gloucester and Antony Byrne as Kent. Then the grand finale of this year will be an “extraordinary and innovative” production of The Tempest in which “you will see the ship sink, Ariel fly, Juno in the masque arrive in her chariot drawn with peacocks”. The aim is to use the most cutting-edge 21st technology to produce the spectacular effects which Shakespeare describes in the play. 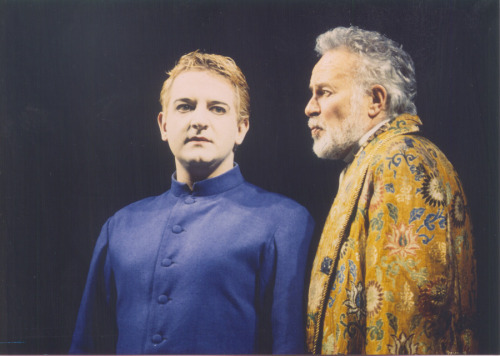 The production will see the return, after over 20 years, of Simon Russell Beale as Prospero. Ironically Sam Mendes’ production of The Tempest, with Beale as an earthbound Ariel, was one of the last in which he appeared in Stratford-upon-Avon. With the company Imaginarium providing the CGI effects this will be performed as the RSC’s winter production, and will provide a perfect introduction to Shakespeare for families. There is more on the whole winter season in a second press release, here. Over at the Swan Theatre there will be new productions of Christopher Marlowe’s great play Dr Faustus and with 1616 also the publication date of Ben Jonson’s First Folio, The Alchemist. Remembering Cervantes’ death in the same year as Shakespeare’s, there will also be a new adaptation of Don Quixote. There is more about productions towards the end of the year in the winter season press release. This entry was posted in Legacy, Shakespeare on Stage, Stratford-upon-Avon and tagged 2016, A Midsummer Night's Dream, Antony Sher, Cymbeline, David Tennant, Erica Whyman, Gregory Doran, Hamlet, John Wyver, King and Country, RSC, Simon Russell Beale, The Tempest, Vanessa Redgrave. Bookmark the permalink.